Using electricity as its energy source, heat pumps are used for either the heating or cooling of your home by transferring heat betweentwo reservoirs. Year-round, energy-efficient indoor comfort for moderate climates – A central heat pump helps maintain comfortable temperatures inside your home and reduces humidity levels year-round. Homes located in regions with severely cold temperatures may either require supplemental heating or be better served with an air conditioner/furnace combination. 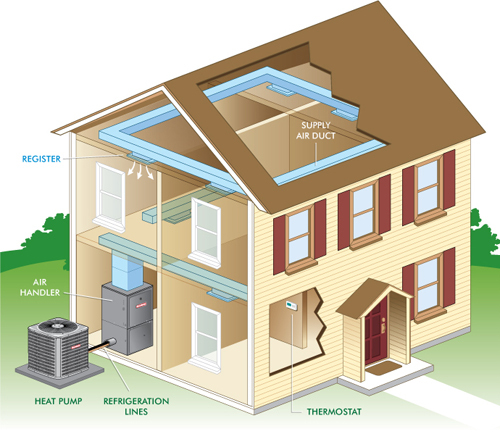 How a Packaged HVAC System Works When is it Time to Repair OR Replace Your HVAC Unit?